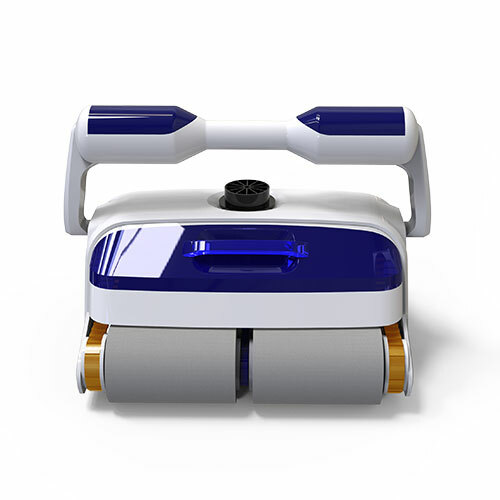 iRANGER is a high-end robotic pool cleaner with a most powerful cleaning capacity. 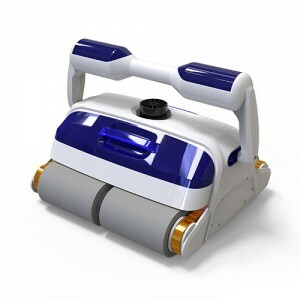 Driven by 3 powerful motors and a cyclone suction working mechanism, iRANGER was engineered at a suction capacity of 18m³/h, and a moving speed at 15 meters/min, it's no doubt a most powerful robotic cleaner. 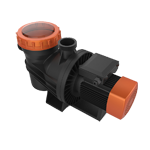 Equipped with a smart route and self aligning program, iRANGER can detect potential tangle caused by deviation and make self adjustment when navigating through the pool surface. 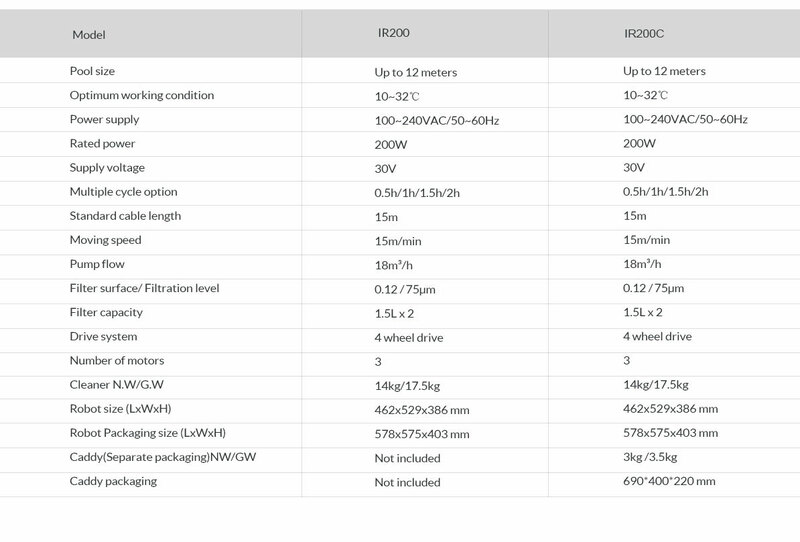 Navigation software ensures pool floors are fully-covered. iRANGER's 4 high quality PVA brushes ensures a steady climbing and grip on pool walls, and a flexibiligy of moving over obstacles. PVA Brushes special material lasts twice as long as conventional rubber brushes and resists oil, bacteria, algae and other contaminants. Let iRanger do its work with pre programmed route or direct it to the spot where an intensive cleaning is needed by using an intelligent remote control comes along with the robot. A 7-day programmable timer saves your hassle and trouble for a smart cleaning.